It is a well known fact that the population of our world is growing increasingly heavier. It is estimated that approximately 30% of people across the globe are now obese and most of these people carry a large amount of that excess weight around their middle. Due to an increase in fast, inexpensive, low quality food, increased sugar intake and an increase in sedentary, inactive lifestyles, people everywhere are suffering the effects of weight gain and the health consequences that come with it. Why is belly fat so bad? When a person gains fat anywhere else on the body it is known as subcutaneous fat. This is the layer of fat that lies directly beneath the skin. Weight gain in the abdomen however, means an increase in visceral fat. This type of fat does not only lie under the skin’s layer, it actually begins to move down inside the abdomen and surround the organs located within. The liver, intestines, pancreas and other organs become surrounded by this substance which makes it increasingly difficult for them to function properly. Visceral fat has been proven to increase our risks of developing Type 2 Diabetes, heart disease, stroke, certain types of cancers and alzheimer’s disease. What can you do about belly fat? Acting now is the best way to prevent or reduce a growing midsection. By starting today and taking steps to lead a healthier lifestyle, you can reduce your risk factors for obesity and disease. 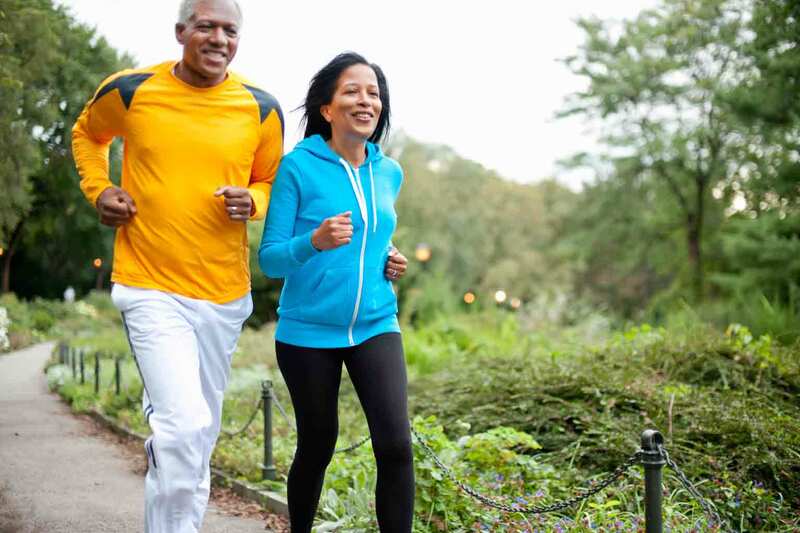 Keep active – Staying active by participating in sports, daily walks or exercise is a great way to keep fit, minimize extra body fat and reduce overall body weight. Not only will it keep you trim and decrease visceral belly fat, but it is great for your heart, lungs and joints too. Exercising and eating healthy are two of the most important things that you can do to help prevent the onset of disease. Make healthier food choices – Reduce the amount of foods that you eat that are fried, processed, high in sugar or high in saturated fats. Fill your diet with fresh fruits, vegetables, whole grains and lean meats. These are the foods that your body was made to eat and they will provide you with all of the nutrients that you need for good health while keeping your waist slim at the same time. Reduce stress – When we feel anxious and stressed our bodies produce a hormone called cortisol. Recent studies have shown that the more cortisol we produce, the more visceral fat we will have on our abdomen. By practising techniques like meditation, yoga, breathing exercises or just taking time out to relax, we can reduce cortisol production and in turn, help to reduce belly fat as well. If you have questions about your health or would like to speak with one of our doctors by phone, video, or text about weight loss, visit www.mylivemd.com. Your well being is important to us and we look forward to helping care for you.